using the Internet, we never think, that most of the work on the functioning of the site performs a DNS server. Server called main network computer, which allows continuous operation, performing tasks on other computers. Without the server it would have been impossible, eg, storing information shared or hosted network sites. But what is the DNS server, we try to find out more. address of the computer, connected to the external network. Their difference is only in the, that recursive DNS servers are self-tracking reference to other similar servers, interrogating them and returning the response to the client. In the case of non-recursive reference servers returned to the client without questioning, and the client, in turn, must itself carry out the operation on the specified server. Using recursive servers, usually, It occurs at low levels, such, eg, as a local area network. The thing is, that the server holds all the intermediate caching of responses, It is speeding up their return in future requests. A non-recursive servers vice versa, usually located on the upper levels of the hierarchy, because taking such a huge number of requests, that the resources to cache responses are simply not enough. 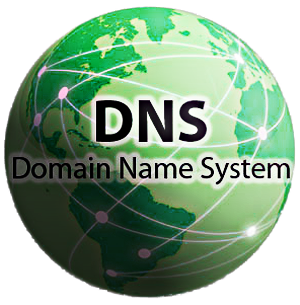 Decide, What is a DNS server, we can conclude, that in order to make full use of Internet domain name must be domain delegation, ie a partial transfer of control over them. The efficiency of such a domain is provided just DNS servers, which contain the necessary information about it and provide it in accordance with the technical requirements of the Internet.